A common problem for many, in terms of teeth problems, is crooked teeth. A lot of people are born with crooked teeth, which prevents them from smiling with confidence. Luckily, there have been so many advancements in the dental field, so even if you have crooked teeth, you don’t have to worry because a dentist can straighten them out. They can do so by installing regular braces in your mouth or by installing clear braces in your mouth. The procedures listed below are available at a dental clinic. With normal braces, you will not be able to take them off at any point. Only when the dentist takes them off personally will you be free from normal braces. These braces will be put on by a dentist, and over the months, they will make adjustments. These adjustments will straighten your teeth into a straighter position, so you can have the smile you have always wanted. If you don’t mind the appearance of regular braces, they are a good option. You can consult with the dentist ahead of time, seeing what the benefits are and how much they are going to cost. This allows you to make an informed decision when it comes to straightening your teeth. However, you may not want anyone to know that you are wearing braces at all. In these instances, Invisalign braces come in handy. These braces are clear, so when they are on your mouth, no one will even know you are wearing them. This is ideal if you are getting ready for a special occasion, and don’t anyone noticing that you have braces on. 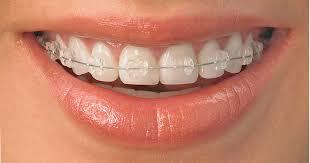 A great thing about clear braces is that they feature a smooth surface. When they are in your mouth, you won’t be in any discomfort at all. They will always feel comfortable in your mouth, and over the months, your teeth will straighten into the correct position. Clear braces will be put on correctly when you see a dentist at a dental clinic. Also, with clear braces, you can take them out whenever you want. This is not the case with regular braces, which is why clear braces have become so popular for teens and adults. When you get ready for bed, you can simply clean the clear braces and store them in a case. When you wake up, simply place the braces back in your mouth. Since these clear braces are easy to clean, you can pretty much eat whatever you want. Thanks to the teeth straightening options above, you can have teeth that you are proud of and not afraid to show off to the world. All of this is possible thanks to a dental clinic. The dentist at the dental clinic will build a rapport with you, so seeing them will not be stressful at all.